Every time a child is born, the gift fairies snap into action. Sometimes, they forget to stop. And what you (as a parent) find is that some of these gifts, while sweet and cute, seem to take up room, then multiply mysteriously, in the limited space you’ve created and allocated for just such things. But others not only become beloved keepsakes, they actually get used, worn, and loved on, for months and months. This is a story of two gifts we – sorry, Fionn – received that I’m absolutely wild about. Curiously enough, they’re both bath towels. 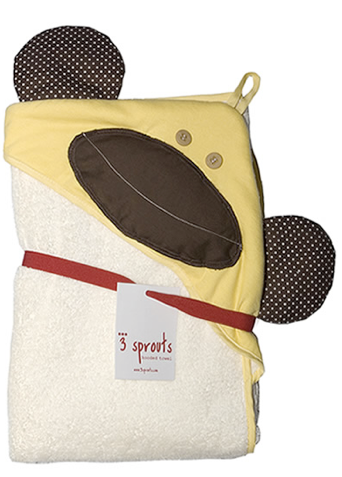 The first is from a company called 3 Sprouts. 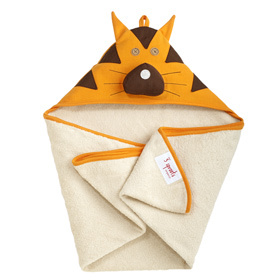 A company started by design-savvy parents in 2007, 3 Sprouts makes these organic hooded towels, as well as storage bins, placemats, smocks and picture frames. And although we’re lucky that Fionn actually likes bathtime, I see his face light up when we bring out these towels. The monkey is his favorite, but the tigers, chickens, and elephants are really sweet as well. They’re available both online (Bellydance, Giggle, Amazon) and at lots of kids’ shops around town (Check here for retailer information). The second is my personal favorite, a tip from our friend Fiona in Chicago. The company is called Wonder Kids Inc. And their towels aren’t towels as much as they’re superhero accessories. 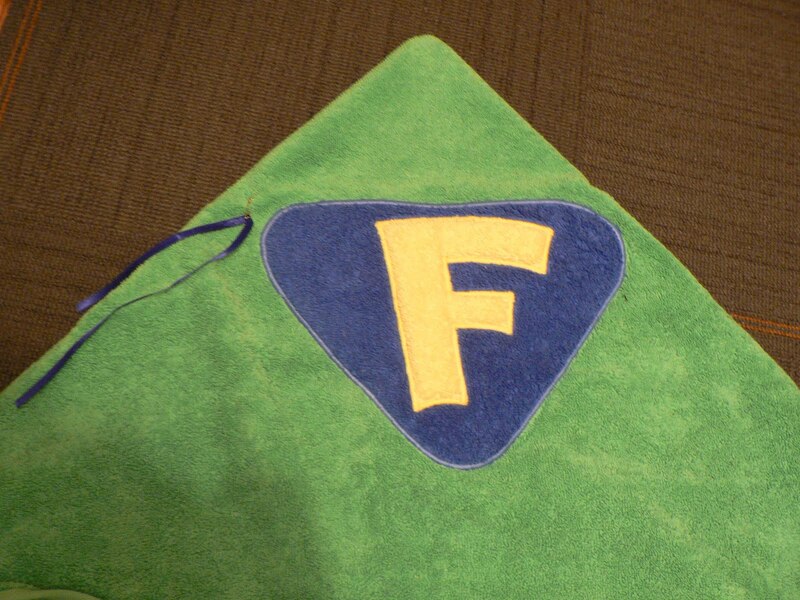 Hand made with terrycloth towels, they’re made-to-order with your kid’s initial in the colorways shown above. 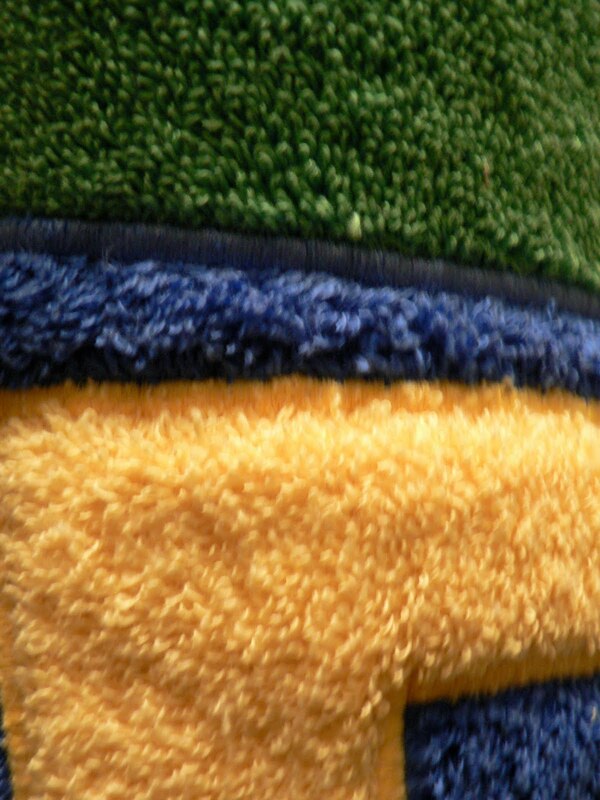 The towels are large and plush, and fastened in the front with a contrasting piece of fabric and large plastic button. Beautifully constructed, soft and plush, I can’t wait for Fionn to truly enjoy it. I know there are lots of companies out there selling their own versions of superhero capes, but I haven’t yet seen one that’s so nice. If you know the people at Wonder Kids, please get in touch. I’d love to learn more about them!